The recent inclusion of targeted biologic agents in guideline recommendations has provided oncologists with more treatment options and patients with the potential for improved outcomes. However, these additional options also increase the complexity of treatment selections and appropriate sequencing of treatments for patients with gastric and gastroesophageal (GEJ) cancers. Integrating New Therapies into Treatment Regimens for Gastric and Gastroesophageal Cancer will guide community clinicians in making consistent, evidence-based management choices with treatments that are appropriately sequenced. Guidance will also be provided for the management of possible treatment side effects and the integration of emerging therapies into treatment regimens as new clinical-trial data mature. This activity is intended for community-based medical oncologists, surgical oncologists, radiation oncologists, oncology nurses, and the rest of the multidisciplinary cancer care team for gastric and GEJ cancers. 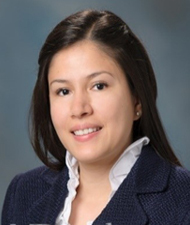 Mariela Blum Murphy, MD is a board-certified hematologist-oncologist specializing in gastrointestinal malignancies. Dr. Blum Murphy earned her medical degree as a Doctor in Medicine and Surgery at Universidad Católica de Santiago de Guayaquil, Guayaquil-Ecuador. She completed her residency in internal medicine from 2005-2008 at the University of Miami/Jackson Memorial Hospital in Miami-Florida. She then served her fellowship in hematology and oncology from 2008 -2011 at Baylor College of Medicine in Houston, TX. She is now faculty in the GI medical oncology department at MD Anderson Cancer Center in Houston, TX. Dr. Blum Murphy’s primary focus is the treatment of patients with esophageal and gastric cancers. Within MD Anderson, she chairs the multidisciplinary gastric tumor board and she currently serves as Principal Investigator of several clinical trials. Her current research interests include circulating tumor cells and immunotherapy treatments. Dr. Blum Murphy is also part of the MD Anderson Physician Network, a quality management and best practices organization, delivering quality oncology care with the goal to improve cancer care in the general community. 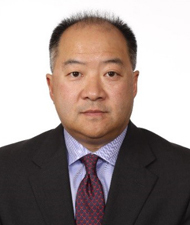 K. Robert Shen, MD is an Associate Professor of Surgery at the Mayo Clinic’s Department of Surgery in the Division of General Thoracic Surgery. He completed an internship in general surgery at Brigham & Women’s Hospital, followed by a residency in general surgery at the hospital. He then completed a residency in cardiothoracic surgery at Massachusetts General Hospital in Boston, MA. Dr. Shen is affiliated with numerous medical associations and professional societies, including currently serving as a member of the Society of Thoracic Surgeons’ Workforce on Media Relations & Communications; a member of the American Society of Clinical Oncology Gastrointestinal Cancers Symposium Program Committee; and a member/reviewer of the Thoracic Surgery Directors Association Curriculum Committee. A prolific author and presenter, Dr. Shen has contributed to more than 100 original articles and book chapters. He is a Fellow of the American College of Chest Physicians and the American College of Surgeons, and received the American Cancer Society’s Career Development Award in 2007. The Potomac Center for Medical Education designates this enduring activity for a maximum of 1.0 AMA PRA Category 1 Credit TM. Physicians should claim only the credits commensurate with the extent of their participation in the activity. Successful completion of this CME activity, which includes participation in the evaluation component, enables the participant to earn up to 1.0 Medical Knowledge MOC points in the American Board of Internal Medicine's (ABIM) Maintenance of Certification (MOC) program. Participants will earn MOC points equivalent to the amount of CME credits claimed for the activity. It is the CME activity provider’s responsibility to submit participant completion information to ACCME for the purpose of granting ABIM MOC credit. There is no fee for this activity. To receive credit, participants must take the pre-test, view this CME/CE activity in its entirety, and then complete the post-test, with a score of 70% or better, and evaluation. The estimated time for completion of this activity is 1 hour. To receive their certificates, participants must demonstrate mastery of the presented material via the post-test. Participant is allowed to take the post-test multiple times.